b00k r3vi3w Tours is looking for serious Tour Hosts. Fill up this form to become an Official Tour Host of b00k r3vi3w Tours. Once you sign up, you will receive emails announcing all the upcoming tours. - All Tour Posts need to go up by 9am PST. - All Tour Posts need to be the top post for the day unless otherwise mentioned. - If you are unable to post on the given date, please let me know ASAP so that I can reschedule you. 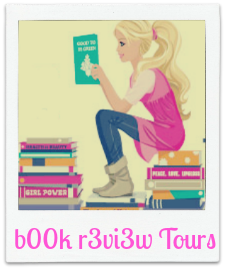 - All Tour hosts must put up the b00k r3vi3w tour button – either on the side bar or with the tour posts. - b00k r3vi3w Tours does not offer PAID REVIEW opportunities. We are not looking for sponsored posts. We are ONLY interested in GENUINE reviews. - Follow us on Facebook / Twitter / Pinterest to be up to date regarding our tours. - It is an event where the first look of a book cover is revealed. - Posts have to be put up on the particular day. - Everyone can participate in this event. - The Cover Reveal Post doesn’t have to be the only or even the top post for the day. So you are welcome to post your scheduled posts once the promotion post is up. - Book Blasts are events that consist of promotional posts only – book/author spotlights, excerpts, guest posts, interviews etc. - It takes place in a short span of a time – 1day to 1 week. - Date of posting may not be as rigid and they can be put up anytime within the duration of the blast. - This has to be the top post for the day. - Is similar to a one day book blast. - Consists of promotional posts only. - The post doesn’t have to be the only or even the top post for the day. - Review copy will be provided well before time. - Posting a review on the committed date is of utmost importance. - Please cross post your reviews to as many websites as possible. - Since these reviews are part of a promotional tour, in case of ratings below 3 stars, please let us know. We will provide you with promotional material to post instead. You are however welcome to post the review outside the tour. Thanks Tonya. Looking forward to working together SOON! Thanks Lori. Looking forward to working together SOON! Thanks Andrea. Looking forward to working together SOON! Thanks Mandie. Looking forward to working together SOON! I signed up! I tried to add the blog bottom to my sidebar, but it doesn't show up and it gives a message instead that you should upgrade for additional badnwidth. Thanks Lori for signing up and bringing this to my attention! Apparently I have reached the bandwidth limit on Photobucket. I have recreated it through Imageshck. So it should work now! Sorry Ms.Egan. Guess in my eagerness to reach out to max people, I have sent you the same mail twice/thrice! I wish I could help but I don't have an ereader and can only do hardcopies. Let me know if I can help in the book blasts. Otherwise, I guess I am out of luck. Sorry. Hi Mary, Please sign up as a tour host so that I have your details to send you mails for individual events. You can choose to sign up for Cover Reveals/Book Blasts/Release Day Blitz only. Thanks Lakshmi.... Hope this will be a pleasant experience for you! Thanks Jennifer!Looking forward to working together SOON! Thanks Namrata. I will drop you a mail today! Looking forward to working together SOON! I don't know if I'd be of any help once I'm gone but I'd make it work till I last. Thanks Deeksha. Looking forward to working together SOON! Thanks Kim. I love Your Blog! Looking forward to working together SOON! Thanks Vinny. Looking forward to working together SOON! Thank you for the invitation. I just signed up. Thanks Starla. Looking forward to working together SOON! I signed up. Thanks for the invite and I look forward to hearing from you. Thanks Sherry. Looking forward to working together SOON! all signed up! thanks for the invite! Thanks You! Looking forward to working together SOON! Thanks Rachel. Looking forward to working together SOON! Thanks Nikita. Looking forward to working together SOON! Thanks Ayah. Looking forward to working together SOON! I signed up! Thanks so much for inviting me! Thanks Tegan. Looking forward to working together SOON! I signed up! I'm still new to blogging so this is my first time. I'm not really clear on how to do things. Hello! I signed up for this but I'm not able to display the logo in my blog.